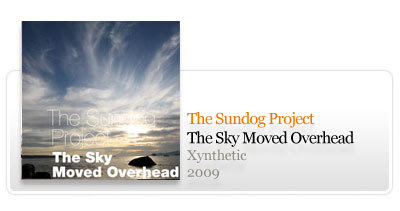 O novo EP do projecto Inglês Sundog Project chama-se The Sky Moved Overhead e foi editado gratuitamente pela netlabel Canadiana Xynthetic. "Oblique, organic breakbeats mingle with warm, thick melodies. Featuring the title track from The Sundog Project and two remixes of material by Creepy Candles."